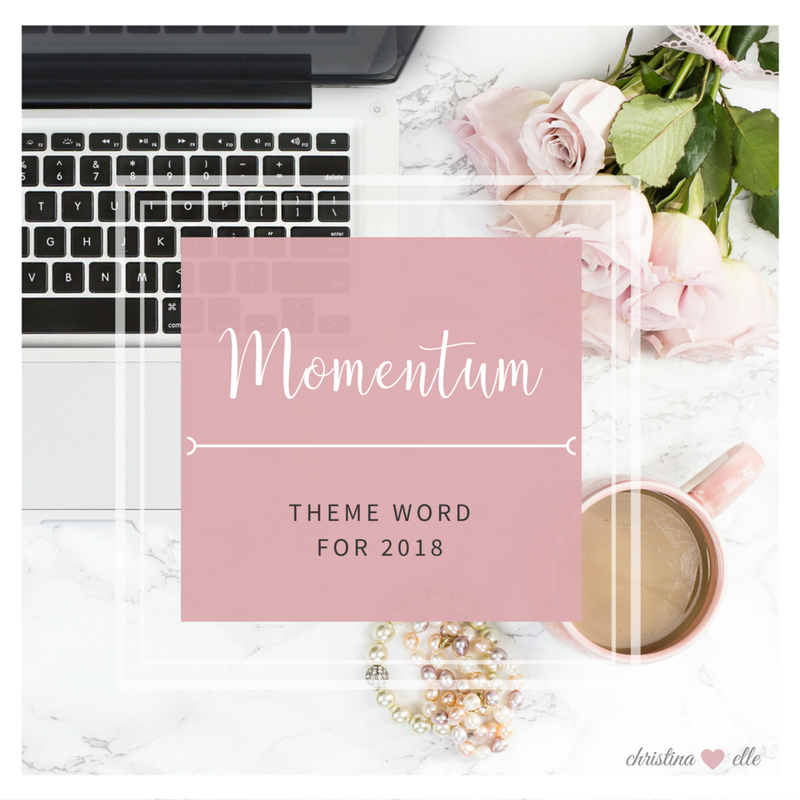 My Recap of 2017 & My Theme Word for 2018! Well, folks. 2018 is upon us. I don't know how we got here, but it's time to face it. I'm not one of those people to get wrapped up into resolutions and all that, but I am someone who believes that we have to reflect on the past in order to understand and appreciate where we're heading into the future. 2017 started out well. I spent the first few months finalizing edits for my second full-length novel, IN WALKED TROUBLE, which released 31 July 2017. I was really proud of that story. All the writing classes I'd taken, the resource books I'd read, critique partner advice I'd listened to over the last however many years culminated into a fun, action-packed novel that I'm super proud of. I just felt really good about it. Feedback was really great on IWT, too. So I was flying high! Once final edits for IWT were done and off to my publisher for print, I was approached by some members of my local RWA chapter, Maryland Romance Writers, to contribute to a beach-themed anthology. Uh, that was a no-brainer since the beach is my FAVORITE place in the world. If I could live on the beach every day, I would. So I gladly accepted the invite. And then had to write my TAIL off. I had a total of two months to whip together a novella that would be worthy of the other four ladies in the anthology. We're talking USA Today Bestsellers I was publishing alongside, people. I had to bring it! I had never written a novella before and had never written anything in less than two months. This project was great because it ended up teaching me how to fast draft. And that's how ANYWHERE WITH YOU was born. Talk about a FUUUUUN story to write. While the timeline might have been restrictive, the plot wasn't. I could write whatever I wanted about a locale that I was super pumped to write about. I'm really happy how that story turned out. Quirky, contemporary romance with loads of LOL moments. It was published as part of the Destination Love anthology with Christi Barth, Eliza Knight, Misty D. Water, Piper J. Drake, and me, and was only available for a few short months during the summer. We donated 20% of all sales to an organization called Final Salute Inc., who provide housing for homeless women veterans and their children. It's a really great cause, and we were excited to do our part to help. ANYWHERE WITH YOU isn't available now for purchase; once the timeframe for the anthology ended, all authors got the rights of their stories back to release on our own, so that's what I'm going to do. I want to self-publish it this summer. If you're a blogger or reader and you're interested in helping to spread the word on release day, let me know! I would appreciate the support! After IWT and AWY released, I had another bit of good career news. I signed with an agent in August! I am proud to say I am now represented by the incredible Jessica Alvarez at Bookends Literary Agency!! For those who aren't aware of what an agent does, she is the super important business partner who helps sell an author's work to publishing houses, negotiate contracts to get us the best deals, offers constructive criticism on our writing, and all around helps steer an author's career based on the author's individual goals. Agents are also really great sounding boards when we authors are having a tough day. Which I needed not long after signing with Jessica. I lost my grandmother at the end of August, and it was fortuitous that I wasn't working on deadline, because I would've never been able to finish anything on time. My mind and heart just wasn't into anything. For those of you familiar with my work, I write a lot of humor into my stories, most if it coming in the form of quirky and confident old lady side characters. Usually they are in the form of grandmothers to my main characters. Why? Because my grandmother was a huge influence on my life. I got 99% of my humor and quirk from her. She was a unique lady who loved her family, loved to laugh, and was always confident in who she was. She never gave a damn what other people thought about her. She was unapologetically her. I don't think I intended to write stories with as many old ladies as I have (so far my entire Under Covers series has old ladies, and I have a new, soon-to-be-announced series I just sold that includes them, as well), but I think deep down my psyche was just longing to get my grandmother down on paper. I had to share her with the world. And, as I'm writing this, I realize that was the best idea I ever had. Now that she's gone, I will always have a piece of her with me. Immortalized in my stories that I've shared with you. Her laugh was infectious, and in this day and age, I think we all could use a bit more laughter and humor. The next few months flew by as I attempted to get my brain back in working order. I'm happy to say that Jessica and I sold a new series, which I'm working on now. It'll be a three book series, this time set in a small coastal town with everyday heroes as the main characters. The first book is about a fireman and wanna-be romance novelist who just can't seem to get their grandmothers to stop fighting and wrecking the town. I can't wait until there are more details available so I can share them with you! So... what does all of that mean for 2018?? Well, from the outside, you might be saying, Christina, based on what you've outlined, you've had a pretty successful year. You published two books, signed an agent, and sold a new book series. Yes, I have. But I didn't produce nearly as many results as I'd planned on 1 January 2017. I let myself down. I didn't take care of my health. I let my eating habits go by the wayside. I made excuses as to why I wasn't writing anything new. I chose to surf the internet rather than sit and write a new chapter or two. I downloaded a crap-ton of new resource books to help improve my craft, and didn't crack any of them open. I've thought long and hard about how I want this upcoming year to go. I'm more serious about my 2018 goal setting because I know that if you don't set a goal and create actionable steps toward it, you won't achieve it. So, here's what I've outlined so far. - Write more blog posts and keep you guys current on the great (and maybe not so great) things going on here in my world. - Network more this year. I'm a hermit by nature. I'm only usually outgoing in small groups of people. I'd like to put myself out there more. Attend events. Serve on panels. Talk about myself and my writing without feeling like I'm bragging or like I'm inexperienced. - I want go to a huge author signing event and, well, sign my books for readers. I've never done this. And I want to do it so badly! Despite the fact that I'm a hermit, I LOVE meeting new people. Especially readers. I really want to meet them in person. - Hire a personal assistant to help me keep up with and post on social media. I didn't post very much last year and really want to increase my presence. I need a guru to keep me engaged! - Get a better handle on my schedule. I'm not a full-time author. I work a full-time job, have two young kids (7 and 4), with a husband who is a cop and works unconventional hours. I want to stop using our crazy schedule as an excuse not to write more. I have pockets of time where I can sit at my computer, I showed that in 2016, so I need to do a better job of setting aside time to do it. I want to start using The Compound Effect again to do it. - This kind of goes with the more blog posts thing, but I want to give my readers more of a glimpse into my real life. Apart from my love of Chris Hemsworth, Marvel movies, and hot weather, I don't really talk about other things I love. I want to show my readers that I'm a real person just like them. It's what I love seeing from authors I read/follow, so I want to be able to do that for my readers, too. It perfectly describes what I need in order to accomplish all of that, but more importantly, it signifies that I simply need to keep going. Keep up the momentum and the rest will take care of itself. The list feels daunting at the first of the year, but it's not if I keep moving forward and ticking items off one-by-one each day, week, and month of the year. So there you have it, folks. My plan for 2018. I've outlined all this not so I can just say, "Hey look what I'm going to do!" No, I laid this out because I know that if I make it public, if I put it out there for others to read, then I'll feel more compelled to hold myself accountable to it. How about you? 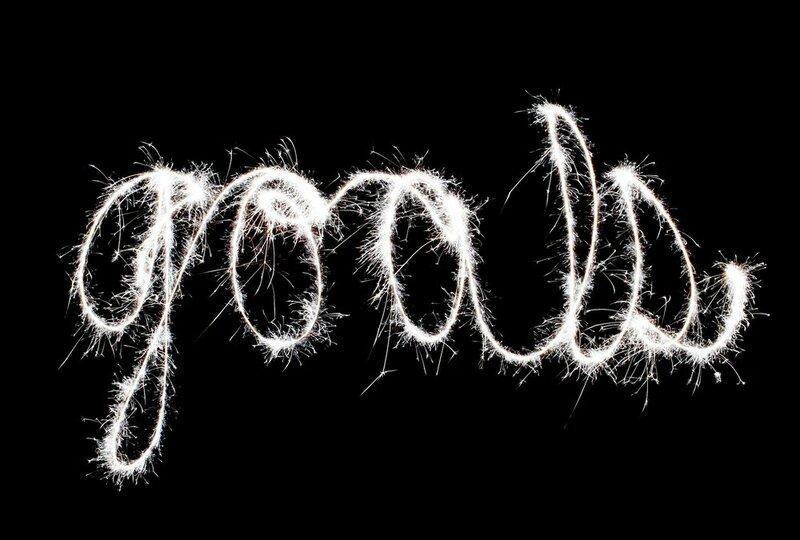 What are your goals for this year? Let's do this!